‘Double agents’ that the CIA allegedly hired from among the ranks of Guantanamo inmates would not be able to return to their home countries without deep suspicion being cast on them, former Pentagon Security Analyst Michael Maloof told RT. The US Cuba-based detention facility, Guantanamo Bay, was reportedly used as a source of CIA double agents, according to AP’s exclusive report published on Tuesday. Under the program, developed after 9/11, when President George W. Bush was in office, the secret service molded prisoners into spies and sent them home, with the promise of freedom, safety for their families, and millions in cash. It is claimed that a top-secret base, Penny Lane, at the controversial detention facility, was used for training the recruits, and that the CIA specifically chose the prisoners considered the most dangerous for the mission. However, there has been no concrete proof provided for the reports. Colonel Morris Davis, a former Guantanamo Chief Prosecutor, admitted that the guiltier an inmate is, the higher the chances would be of them leaving the prison as a double agent. “I would assume, like in many organized crime cases, sometimes you have to make a deal with the devil to try to get someone further up the food chain,” he explained to RT. Former US president, George Bush, allegedly displayed significant interest in the Penny Lane program. Bush reportedly interviewed some of the CIA officers involved personally. When his successor, Barack Obama, came into office in 2009, he ordered a review of double agents. This was due to concerns about the reliability of information former Guantanamo detainees provided for drone strikes, according to the wire service. According to Colonel Davis, there “is certainly a possibility” that some people had used the US war on terror to settle the score with someone else, and that some targets of drone strikes were probably identified by people who provided names for their own personal reasons. However, Analyst Michael Maloof, argued that such “double agents” would have nowhere to return to, because they would be enemies in their own countries. “Any exposure in any time like this, of any secret program – if there is one – is always damaging. The question then is what is the relevance? You send these guys back, what tangible basis do you have in the follow-up and in actually recruiting. And I think that is a serious question,” Maloof told RT. In the analyst’s view, the revelation that such a program might even exist could be incredibly harmful for the detainees of the notorious American detention center. “I doubt that those who are in Guantanamo now would really be able to go back without some suspicion being cast upon them,” he said. Maloof also pointed out that many of former captives who returned from the Cuban detention facility, ended up “engaging in terrorist activities” and some of them were killed on the battlefield. 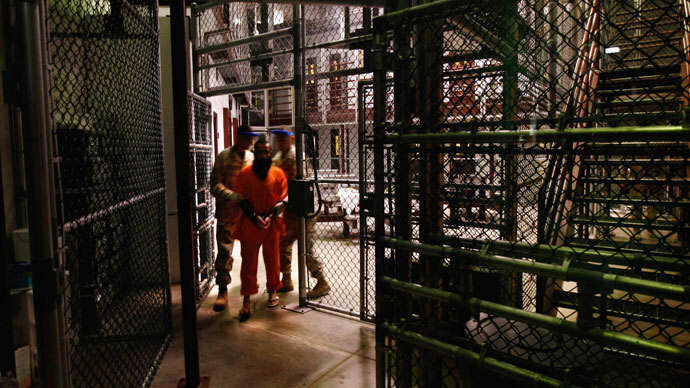 Basically, Gitmo inmates“are displaced people, people without a country,” Maloof said. Additionally, it is probable that their families will be “under watch and scrutiny”. “It’s a very problematic situation for the individuals involved. Especially, if there were no charges against them in the first place,” he added.